Antonio Santi Giuseppe Meucci was an Italian inventor known for inventing a device much like the telephone before the same was invented and patented by Alexander Graham Bell in 1876. Meucci was born in Florence in April 1808, the eldest of nine children, and one of the five surviving ones, born to a civil servant named Amatis Meucci and his wife Domenica Pepi. At the age of 15, he was admitted to the Florence Academy of Fine Arts to study mechanical and chemical engineering. He was the youngest student at the time, and pursued two years of full time studies before he had to temporarily withdraw due to lack of funds. However, he soon took up part time studies again, while also working as a government official and later as a stage technician at the Teatro della Pergola opera house in Florence. It was here that Meucci invented his first voice communication device in 1834. This was a type of acoustic telephone used to establish communication between the stage and the control room of the theatre. This device was based on the same principle used by pipe telephones established on ships. Meucci met his wife Esterre Mochi at the same theatre, where she worked as a costume designer. The couple married in August 1834. Between 1833 and 1834, Meucci was imprisoned for three months and alleged to be part of a conspiracy involving the Italian unification movement. Whether this is true or not is a subject of speculation, but Muecci was a close friend and associate of Giuseppe Garibaldi, the famous Italian general and politician who was a central figure in Italian politics and largely contributed to the formation of a unified Italy. In 1835, Meucci and his wife moved to Cuba where he worked at the Great Tacón Theater in Havana. Here he invented a water purification system, a therapy system that used electric shocks to treat patients suffering from rheumatism and a “talking telegraph” device to hear inarticulate voices more clearly. In 1850, Meucci and his wife moved to the United States, where they stayed for the rest of their lives. They brought 26,000 Pesos with them, which is roughly equal to $500,000 at present. They used these savings to settle in Staten Island, New York and to help their fellow Italians who had escaped persecution in their homeland. Meucci set up a candle factory in New York where he employed several of his countrymen to work for him. He continued to study the principles of electromagnetism and in 1856, he built and installed his first voice transmission device that communicated through wires. The device connected his laboratory with the bedroom of his house. His purpose in developing it was to communicate with his wife who was ill with arthritis and could not move. In subsequent years, Meucci fine tuned and improved his device and developed more than 30 different versions of it. 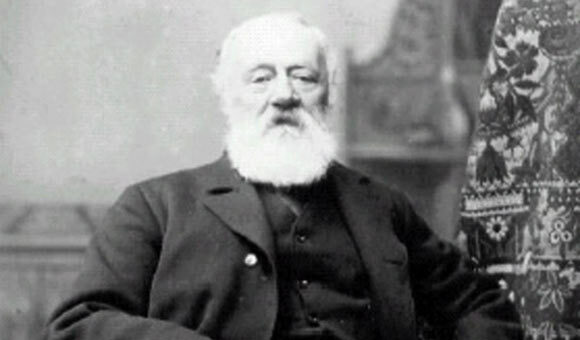 None of Antonio Meucci’s voice transmission devices could ever be patented and put into production. The foremost reason was a lack of capital. His candle making business went bankrupt, so he applied to friends and investors for finances. He was unable to obtain the necessary financing and even though he did eventually file a patent application, it was refused. He contested his patent rejection, which was granted to Alexander Graham Bell a few years later, but the case was dropped upon his death in 1889.